Hire Cakephp Developer | What are the top 15 Steps to Hire Best in Town? Hire CakePHP Developer | Top 15 Unspoken Tips to Hire Best in Town! Do you have a great business web app idea in mind? Well, Look no Further! ChromeInfotech has a 27+ member cakephp developer team who has worked upon building a plethora of CakePHP business applications for clients across 49+ Industries. If you want to hire cakephp developer team that is the best in class, we are Right Here! What are top benefits of CakePHP Technology? Who is a Cakephp Developer? What are the top benefits of hiring cakephp developer? Why to hire CakePHP Developer from a recognised Company? Where to find the best cakePHP Developers? Which is the best method to build cakePHP apps? How to design the best cakePHP app architecture? 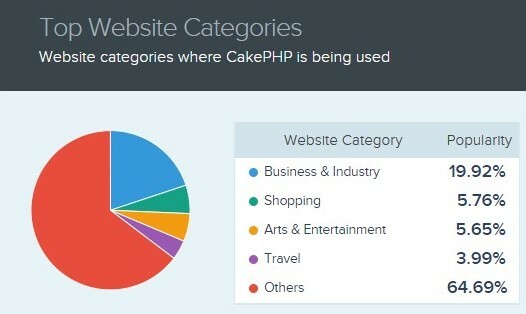 What is a CakePHP outsourcing company? When to hire cakePHP developer team? Where to look for to hire cakePHP developer? How to hire CakePHP developer? What questions to ask when hiring CakePHP developer? How much does it cost to hire CakePHP developer? CakePHP Development is the process of building business web applications using the CakePHP framework. CakePHP is one of the famous and renowned frameworks for building business web applications using PHP technology. Hence are in search for the most reliable and trustable cakephp developer company who can help them bring their business web app to reality. We at ChromeInfo technologies are a 7+ Years old CakePHP development company that has worked on all the version of this technology framework and have delivered across 163+ CakePHP web projects to clients from 27+ countries. Our cakephp web application development services are recognized and appreciated worldwide, and that has earned us a business repetition rate of more than 60%. We also have a client satisfaction rate of more than 91%. First of all, this technology framework is a lot more automated. Hence it saves the CakePHP solutions development time as well as money. This technology framework is driven by backward compatibility which allows developers at ChromeInfotech to build web apps at least 25 times faster driven by high performance and provide excellent cakephp services. Large scale very well established enterprises. We at ChromeInfotech provide all types of Enterprise Software Development Services for all kinds of businesses and industries. Our full-fledged team of 50+ members that can deliver you top-notch CakePHP web apps. High-performance CakePHP business app for sure. A CakePHP developer is a technology specialist in the PHP language and the CakePHP Framework. When you Hire CakePHP web developer team for accomplishing your business web app project, you take the first substantial step to create a business technology solution of long-lasting value. At ChromeInfotech we have a CakePHP developer team with each of the developer having an experience of 3+ years. We have tremendous experience under our belt working with the CakePHP web technology. The first category of cakephp developer team comprises of those who strictly work on new projects that have not been attempted before. These developers are more oriented towards unconventional business ideas brought forward by clients. They use CakePHP technology to experiment and bring exciting and unconventional business projects to life. The second category of developers is those who mainly work on migration-related projects. These projects are those who need to be migrated to the CakePHP technology Framework from any other open source technology framework. Hire cakephp developer team from ChromeInfotech if you have any web app migration needs as mentioned above. Our Third Category of developers works on large scale CakePHP projects. Each of our developers from this pool has 3+ years of experience working with the cakephp technology and have worked with almost every version of the CakePHP framework. We have a full-fledged team of developers and quality assurance specialist who can help you to build any business web application using the open source PHP technology through their full-service assistance. Hire CakePHP Developer from our end and stay assured regarding getting a High-quality CakePHP business web app. Here are the top three advantages you avail cakephp web application development services from a recognized web design & development company for your next business app idea. First of all, you will have your most reliable technology partner by your side throughout the web app development process. You can overcome any business obstacle of yours with your tech partner beside you 24/7. Secondly, you will leverage the real potential of open source CakePHP technology to build new CakePHP solutions to solve a complex and sophisticated business-related problem. Last but not least, it will save you the trouble of setting up your own in-house CakePHP development team to build your business web app. Hence you will be able to launch your CakePHP web app driven business faster and with fewer obstacles to overcome. Do you need cakephp developer team to build your business web app? Well, the first thing that you should do is look out for a recognized CakePHP development company who has a considerable portfolio to showcase related to CakePHp web app Development. You will get the benefit of the Dedicated Resource Model. According to this model, you can expect to save at least 60% of your web app development cost and time as you will Hire CakePhp web developer team that will be dedicated to your project only. There are a ton of benefits you will get through this model as it’s perfect for all types of projects whether long term or short term. To know about this model in detail, comment down below, and we will answer your queries in detail. Also, get in touch with us over the phone or skype to know about Dedicated Resource Model in detail. If you hire CakePHP developer from a well-established php web development company , you will get the benefits of POC also known as Proof of Concept. Get rock-solid evidence about the actual feasibility of your future business through the cakePHP technology implementation. Hiring a recognized CakePHP company will suggest you to first go with MVP web app development. Under this our cakephp developer team first, build the smallest possible solution of your business app and then the full-fledged business app. These are the top 3 reasons why ChromeInfotech can help you to hire cakephp web application development services experts team which will perform exceedingly well as per your expectations. We have a full-fledged and full-service team of CakePHP solutions development specialists that can take care of all your business needs. Our team comprises of developers, quality assurance specialists, analysts and think tank. We can help you to hire dedicated cakephp developers for your business web app project. Each of our developers has exceptional passion and keen interest towards open source web development technology like PHP and bettering business through its true hidden potential. If you hire a dedicated php developer team from ChromeInfotech , you will also benefit from our Dedicated Resource Model. To know more about it, give us a call at the earliest. Each of our CakePHP Developer is a full stack developer. Each of them can take care of the entire CakePHP Development process by themselves as they are proficient in the frontend, backend, database, and API level altogether. For that, we always stick to the agile software app development methodology. 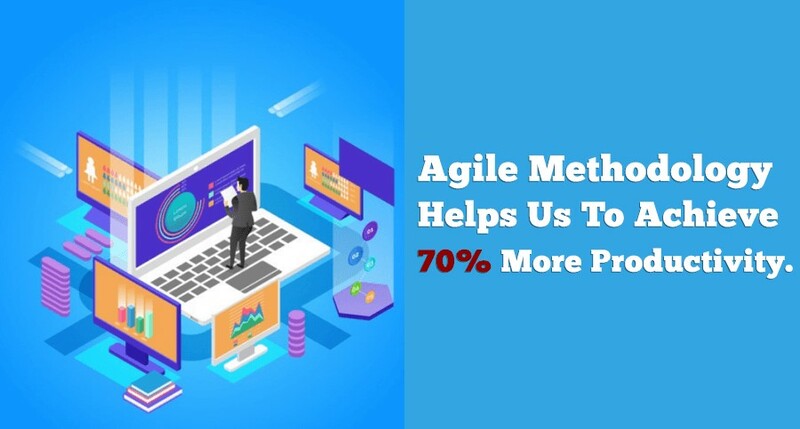 Have a look below to know about the agile method. In the agile software development methodology, all the steps of CakePHP web app development move in parallel. Hence it saves a lot of development time as multiple features and functionalities can be completed together rather than one after the other. 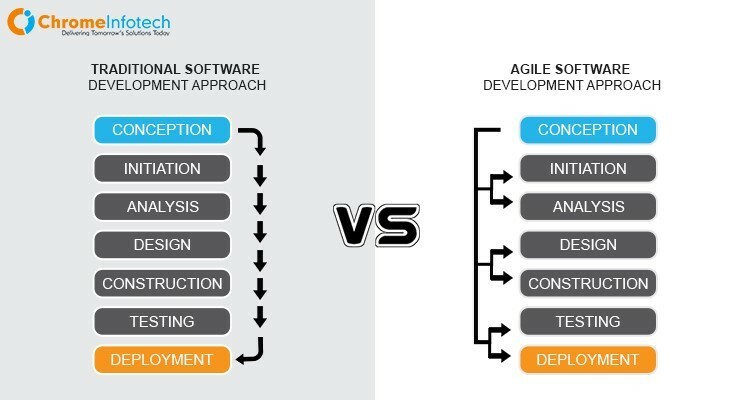 This is the primary reason that each of our CakePHP projects is carried through the agile method. Hire dedicated cakephp developers from ChromeInfotech because we follow some of the best CakePHP App Architecture design practices. At ChromeInfotech, we believe that every client should get the best cakephp services for their business. These web apps have the best resource utilization. Our CakePHP Developer team ensures that you get more performance from your web app using less number of resources. ChromeInfotech Also Deals with Cakephp Project Outsourcing. Are you need of CakePHP Programmers for Hire ? Do you want to hire dedicated cakephp developers for your project outsourcing needs? We at ChromeInfotech have a separate team of developers, designers, programmers, and analysts that take care of all the CakePHP web application development projects outsourced to us. Not only we exceptionally take care of all the CakePHP projects outsourced to us but also deliver them to the best of standards as per industry recommendations. We never compromise on quality on any front. You can Hire Cakephp Programmer and developer team from ChromeInfotech and get your project outsourcing needs catered to. If you have any CakePHP projects ready to be outsourced to a CakePHp software development outsourcing company that’s 100% reliable , do let us know and our team will get in touch with you at the earliest. Do you need cakephp developer team right away? We can help you with all your CakePHP web app development needs. Now let me address one very crucial question that many entrepreneurs wonder about. What is the best time to Hire a CakePHP development company if I have a business web app idea in mind? First of all, you would have a dedicated team of people looking after every technical needs and requirement of your project right from the very beginning. You can focus on other critical aspects of your upcoming CakePHP Driven business such as attaining more user engagement, how to provide better services and how to scale and evolve business in the years to come. CakePHP Programmers for Hire Available with Full-fledged Project Team. You can Hire Cakephp Programmer team as well as the developer team from ChromeInfotech right when you have a unique business app idea in mind. We will help you to validate your idea, determine its true feasibility and bring it to real life. We have a few of our critical phases named as Risk-free trial period and Proof of Concept period to help you safely bring your business app idea to real life. Where to Look for Cakephp Solutions Development Technology Partner? If you are in need to hire CakePHP developer team for your business web app project, you need to look at various online platforms such as Clutch, Businessofapps, Goodfirms, etc. These are the platforms that will show you a list of many CakePHP development companies once you enter a specific search query. ChromeInfotech has earned recognition from the above major platforms and has been listed on them. So if you search these platforms for the keyword “CakePHP developer” OR “cakePHP development company,” you can find us right there. Apart from that, we are also present on a lot of social media platforms like LinkedIn, Facebook and YouTube. 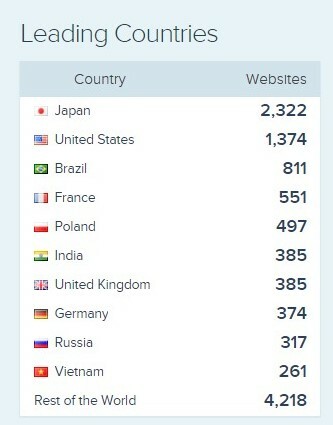 Moreover, our website ranks on some of the major spots on google search results. So you can find us pretty much everywhere on all the major platforms on the internet. Hire CakePHP solutions development experts from us for all your web development business needs and requirements. Finding a reliable and trustable long term CakePHP developer team is not only difficult but also time-consuming. You need to know the fundamental techniques to find the best-fit technology partner for your business venture. How to Proceed to Hire Cakephp Developer ? Best Ways and Methods. First of all, you need to be very sure about your business needs and requirements before you can hire CakePhp web developer team for your project. Once you are done with the requirement gathering and analysis phase, then you need to figure out the level of technical expertise you require from your future cakephp services expert. This will help you to hire a good web developer team and get the work done efficiently. In the third step, you need to fix your budget and monetary constraints. You can Hire Cakephp Programmer & Developer team from our end. We have a team of developers and programmes who can help you to save a significant amount of money on developing CakePHP web apps. Once you are done with the budget planning, you will be able to get the right talent on board as per your needs and requirements and do resource management correctly. You need to look out for CakePHP companies who provide full-fledged services related to CakePHP business web app development. Hiring a full-service CakePHP solutions technology partner should always be your priority all the time. This will free you up as an entrepreneur from all the technical overheads and worries. You will have a dedicated team of people to handle your entire tech division. After you have found out a CakePHP development company that you think can be the right fit for you, analyze their portfolio entirely and thoroughly and minutely. This will help you to figure out the actual competence of your potential future cakephp web application development services company. We at ChromeInfotech offer our clients a Dedicated Resource Model. Under this model, each of our clients gets dedicated human resource inputs, and these human resources strictly cater to that specific client only. Before they Hire CakePhp web developer and programmer team from our end. They can ask analytical, logical and technical related questions to them to understand their grip and hold on the CakePHP technology and how strong their software development abilities are. Hence the client can get complete assurance regarding what kind of developers will work with them and what exactly are they capable of achieving. How can you help us to achieve application security? How can you make sure that all of our business data stays safe and secure from any external threats? How to achieve consistent business scalability? Best ways to achieve business scalability in less time? What are the best ways and methods that can help me to attain more customers to my business through my cakephp app? Asking these type of questions to your potential Custom Software Application Development Company can help you to get a better perspective regarding the al round credibility of your technology partner. Increase the performance of their business application. This will help you to gain insights into Their tech savviness. We being a cakephp web application development services provider, have a full-fledged team that can help you take care of all the above aspects in the best way possible. We use 100+ advanced tools and techniques at our end which are well powered by AI and automation that can enhance productivity levels by a factor of 10 at least. Determining the cost of hiring a CakePHP developer technology partner is subjective. A lot of factors are responsible for determining the actual cost. Let’s have a look at which parameters affect the overall price value. How much it’s going to cost to hire CakePHP Developer team from a recognized company. Hope this article was of some usefulness to you. ChromeInfotech helps nearly any and every kind of business to establish a foot in the market through the CakePHP technology framework. Our team will be in touch with you to cater to all the needs and requirements you have. Helps businesses scale faster and most effectively and efficiently. Also, do not forget to leave your comment about this blog in the comment section below. We appreciate your valuable feedback to grow and serve you better.